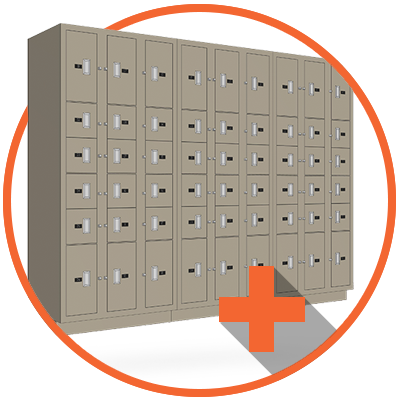 Locker storage provides a secure way to protect personal property and valuable gear. Ideal for businesses, police departments, campuses, SWAT teams, and military units, lockers can be customized to suit any need. 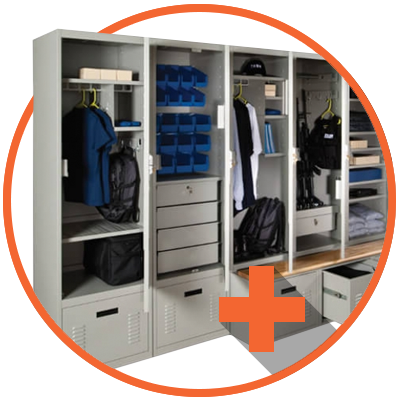 We offer dozens of configurable locker accessories to help you keep uniforms, personal items, weapons, electronics, and paperwork organized and close at hand. Police Lockers house personal gear for police officers, first responders, and military personnel, including uniforms, boots, vests, personal weapons, and electronic devices. Choose from additional features like HVAC integration and benches for comfort and convenience. 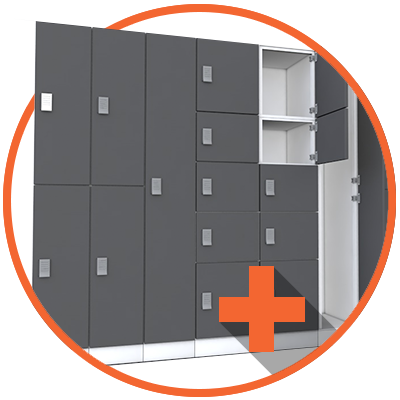 Day Use Lockers offer sleek, secure storage for personal belongings in offices, libraries, clinics, and other areas. 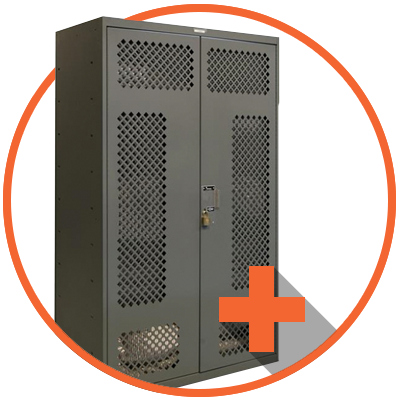 Gear Lockers offer a secure and compact way to store duty bags, field gear, and bulky equipment that can be accessed at a moment’s notice. Unattended Security Lockers are an ideal solution for businesses that need to keep items such as hard drives, or other valuables secure until pickup. With over 40 years of experience, we’ll help you design the perfect locker storage system for your space, budget, and needs.